Born in Savannah, Robin grew up spending her summers on Jekyll Island and the Georgia Coast. She is a graduate of the University of Georgia, and in 1984, attended the UGA Studies Abroad Program in Cortona, Italy, which deeply influenced her approach to the medium of photography. Currently, she divides her time between Atlanta and Cortona, where she has been teaching the Cortona Center of Photography workshops since 1998. In addition to the Italy Workshop in Tuscany, her Atlanta Georgia photography workshops in the US are offered through The Third Eye photography workshops and adventures and feature Coastal Georgia workshops, Savannah Georgia photography workshops, Charleston South Carolina photography workshops, St. Simons Island photography workshops and Jekyll Island photography workshops, in some of her favorite interesting and picturesque locations that she likes to share with her students. 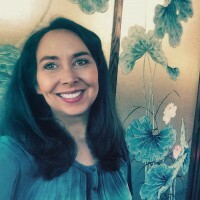 As an artist and photographer, she has researched and worked extensively with a variety of unique photographic techniques, blending tradition with experimentation to achieve painterly and illustrative images. Robin also specializes in book cover photography, and believes a strong book cover image with mood and mystery should give a glimpse of the story from within to make you wonder and leave you wanting more… enticing you inside with the hint of a deeper meaning and plot. Click here to see some examples of her Book Cover Photography. Her fine art photography has been featured for Liz Claiborne, Penguin Putnam Publishing, The Coca-Cola Company, The High Museum Of Art, Michael C. Carlos Museum/Emory University, The Piedmont Park Conservancy, The Goethe-Institut, Visiting Nurse Health Systems, The Atlanta Shakespeare Company, Bellagio Las Vegas, Bloomingdales, St. Martin's Press, Buckhead Pizza Company, St. Regis Hotels, The Omni William Penn Hotel and many private and international collections.